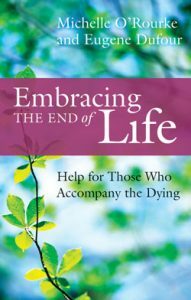 Through the words of Henri Nouwen, an inspiring and life-transforming guide to the ultimate mystery of human existence. What is the meaning of death? How can we see it not just as an inevitable fate but as an act of fulfillment? Can our death be fruitful, a profoundly human gift to those we love? These are some of the questions that Henri Nouwen addressed in his later writings. In the years since his own sudden death in 1996, Nouwen’s influence as a spiritual mentor and companion has continued to grow. His writings on prayer, ministry, and the spiritual life have affected countless people of all faiths. 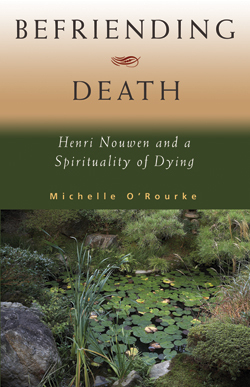 But in this work, and largely through his own words, Michelle O’Rourke concentrates on his reflections on death and dying – a theme that stands out as one of the unifying threads in all of his books, and one that may turn out to be among his most important contributions. For more on Michelle O’Rourke, click here. Also reviewed by Gerald S. Twomey in Cistercian Studies Quarterly, Vol. 45 #4, Nov. 2010. See Amazon.com and our links page for more reviews.